A landlocked country with Turkey to the west and Georgia to the north, Armenia boasts a history longer than most other European countries. Situated along the route of the Great Silk Road, it has fallen within the orbit of a number of cultural influences and empires. After independence from the Soviet Union in 1991, Armenia quickly became drawn into a bloody conflict with Azerbaijan over the mostly Armenian-speaking region of Nagorno-Karabakh. One of the earliest Christian civilisations, its first churches were founded in the fourth century. In later centuries, it frequently oscillated between Byzantine, Persian, Mongol or Turkish control, as well as periods of independence. Studying MBBS in Armenia has become a dream destination for many international students to study Medical in Armenia. Quality of education for MBBS Study in Armenia is considered to be of high standard Medical course fee in Armenian medical colleges is very less as related to other countries. Consequently, study MBBS in Armenia has become a choice for many Indian medical students. There has been a marvellous rise in the number of Indian students studying in Armenian medical universities. For MBBS Admission in Armenia, a mammoth number of medical admission applications are submitted by MBBS aspirants in India every year to get admissions in MBBS universities of Armenia. Top MBBS Universities in Armenia are recognised by WHO (World Health Organisation), UNESCO (United Nations Educational, Scientific and Cultural Organization), MCI (Medical Council of India) for their advanced infrastructure, experienced faculty and updated MBBS syllabus. The medium of instruction in MBBS colleges of Armenia is English for Indian students and the duration of MBBS course in Armenia is six years. However, Indian students can also pursue MBBS course in Armenia in their official language after attending a Language course for one year prior to the start of their MBBS course in Armenia. 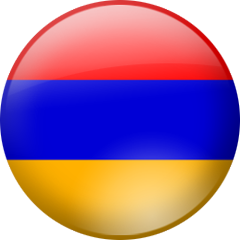 Admission criteria to study Medicine in Armenia is simple and the tuition fee for MBBS course in Armenia is affordable. Hostel facilities in Medical universities of Armenia are offered to Indian students which are a more affordable option for accommodation. Similarly, living cost in Armenia for Indian students is economical as students avail great discounts on food and transportations. If you wish to practice in India after attaining an MBBS degree in Armenia, study MBBS in Armenia and create your prosperous future. It is no fault to assume that a country that offers one of the medical faculties in the Europe would be too expensive to study and live in. On the contrary, Armenian universities proffer of immensely good medical education at the most affordable tuition fee. Similarly, the country delivers highest living standards with the pocket-friendly affordability to the study abroad students. The degree of MBBS attained from any of the recognized medical institutions of Armenia is globally appreciated and rewarded by World Health Organization (WHO), European Councils of Medical Orders (ECMO), World Directory of Medical Schools (FAIMER) and many other world governing bodies. If you are planning to come back to Indian and practice here, the Medical Council of India(MCI) and Dental Council of India(DCI) recognize Armenian medical degree and allow sitting for the MCI screening test to attain a flourishing career in India. Countries like the USA, the UK or Australia demand various entrance examinations for checking English language proficiency and academic intelligence of the aspirant before let entering their campuses. After Visa, this becomes the second major problem for Indian students who desire to study abroad In Armenia, there is no such entrance exam and any university would like to welcome you on its ground. However, it is crucial to understand that the admissions in Armenian medical colleges are based on first come first serve basis and you need to apply before anyone else grab your seat. Studying MBBS in any of the Private colleges in India cost a mammoth amount of money, unlike Armenia, where a medical degree starts as low as RS 160,000 per year. Many of the universities also offer hundreds of scholarships to bright Indian students. Modern medical syllabus in Armenian universities is a perfect blend of theoretical and practical learning so that the students are taught in the most successful way possible. Faculties that teach a variety of medical courses in Armenia are highly trained and able to teach international students in English allowing international students to learn the curriculum in the language they understand. Alongside, advanced infrastructure and facilities describe the education quality of Armenia. Students studying medicine in Armenia are eligible to take part in internships after completing the first year of studies. The hospitals in Armenia are affiliated with the medical colleges in Armenia and deliver immensely good health care services and a massive quantity of beds to its users and wonderful learning and working environment to students studying medical courses in Armenia. Medical universities in Armenia can accommodate a large number of Indian students in their hostels. These hostels have all the necessary amenities a student can use like food, study equipment, library, bed, hot and cold water, central heating, Wi-Fi, etc. All types of vegetarian and non-vegetarian dishes are served in hostel mess and Indian food is also available everywhere.